Free Cleaning...and we Bag and Ice them for Free! Availability on many Charters is limited. Some Charters may be sold out and not available for any new dates you are looking to switch. No changes are permitted within 48 hours. Cancellations to a reservation can be made up until 7 days before your trip. Cancellations within 7 days are non-refundable, $200 deposit. We are unable to issue a refund for a no-show under any circumstances. If you do not show or cancel outside of the timeframe agreed upon above, the $200 deposit will be charged to the credit card we have on file. If you are running late, we will wait for you. The time of your reservation is when the trip time starts, not when you arrive to the boat. As a result, the time spent out on the water will be reduced in relation to your delayed arrival time. Food -for yourselves. Drinks- NO GLASS CONTAINERS. You may bring beer, no hard liquor, for your personal consumption. We strongly recommend water. Staying hydrated is crucial to fun on sea. SOFT SOLE, CLOSE-TOED SHOES- No boots, no black soles. NO FLIP-FLOPS OR BARE FEET. SUNSCREEN – sunburns don’t usually show up until after the fun. YOUR FISHING LICENSE- or you don’t get onboard the boat. DO NOT BRING ILLEGAL DRUGS OR FIREARMS OF ANY KIND. NO GLASS CONTAINERS. NO BANANAS. We provide rods, reels and tackle. If you are negligent and drop one overboard, you are responsible for replacement. The credit card used for deposit will be billed between $150-$300 depending upon which rod/reel combo was lost. We follow all state and federal laws governing Texas and Federal waters. Fishing licenses are the responsibility of the chartering group. You can check regulations at Texas Parks and Wildlife website or offices. Where required, you MUST have a current fishing license to board the boat. We will only catch and keep fish in season and within current catch limits. Our goal is to provide the best possible service to you and work with you on any issues or disputes you might have as it relates to your trip. If you are not satisfied with our service, please approach one of our staff during or immediately after your trip. We will do our best to work with you as your satisfaction is important to us. Most charters in run rain or shine. If the boat is unable to go out due to port closure, inclement weather, or any other reason, you are entitled to a 100% refund. However, if the charter is still going out, then our cancellation policy as stated above applies. This is a mechanical craft- if the boat has mechanical issues and cannot leave port, you will receive 100% refund. We will do our best to reschedule your trip at a date/time convenient to you. We cannot guarantee all trips will go as scheduled. If the boat experiences a mechanical issue off-shore, we will do our best to resolve the issue and continue fishing. The trip will considered complete unless you cannot continue fishing safely. If your trip is cut short, we will adjust the rate accordingly. 5) A1 Deep Sea Charters reserves the right to refuse service to anyone at our discretion. The enforcement is the sole responsibility of the captain or crew. If the captain crew determines that there is a violation of any safety or health standard, we cannot be responsible for a refund. We do not make any guarantee you will catch fish. We will do our best to provide opportunity to catch fish, but catching is not always guaranteed. We do not guarantee specific species will be caught. 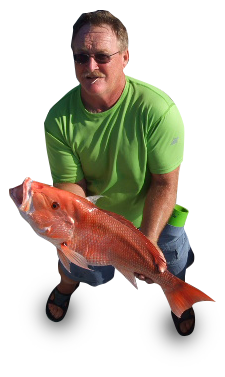 We reserve the right to use your photo/likeness in marketing material exclusively for the sole purpose of promoting A1 Deep Sea Charter and our services. This includes but not limited to, website and print material.